Switching light bulbs might be the easiest step people can take to conserve energy and save money on electricity bills. 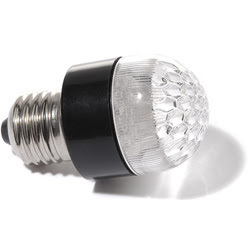 The technology for energy efficient LED lighting just keeps getting better and better all the time which means more choices for consumers at increasingly affordable prices. But many stores only offer CFL, or Compact Fluorescent Lamps. You can identify CFLs by the spiral tubing. While CFLs are more energy efficient than traditional incandescent bulbs, they still contain mercury emissions as vapor inside the glass tubing. The poisonous mercury therefore could be released in landfills and waste incinerators and contribute to water and air pollution. Light Emitting Diodes, or LED lamps, have become a more attractive lighting option for those who want to save energy and the environment. LEDs consume less than a quarter of the electricity of CFLs, last about ten times longer and most importantly LEDs do not contain mercury. Thankfully here in Los Angeles there is a store in the South Robertson area that is proudly going green by offering the latest high quality green lighting options for homes and businesses. "Alcon Lighting was created by professionals with experience in LED Energy Efficient Lighting manufacturing, distribution, and design – bringing you a company that is truly in touch with the Green Lighting industry," said Director of Sales Jake Hakimi. Here is the contact info for Alcon Lighting if you are interested in exploring LED commercial or residential lighting options.